Everyone wants to save money on utility bills. 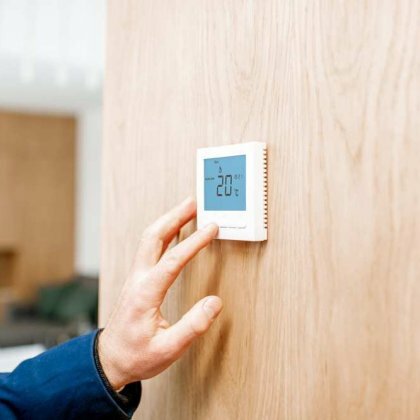 That process is easy with a Dan-Wood house because superb thermal insulation, energy-saving external doors, triple-glazed windows and mechanical ventilation with heat recovery comes as standard. You can then supplement this with other energy-saving options including heating and hot water installations. The frame on a Dan-Wood house is 180mm thick and filled with highly insulating material. Additional insulation which is 120mm thick is added on the external walls enabling heat to be effectively retained in your house. (If you like the technical stuff, this is equal to a heat transfer coefficient of U=0.118 W/m² K). Internal walls have enhanced sound-proofing, and also offer additional thermal control between rooms. The roof can be covered with either concrete tiles, clay pantiles or slates. Again, the roof sections are superbly insulated with 220mm mineral wool. There are other options to using gas, oil or solid fuel to heat your home and provide hot water. At Dan-Wood we are committed to using energy-efficient and environmentally friendly systems. These include heat pumps, solar panels (for heating hot water) or photovoltaic panels. Heat pumps work by absorbing energy from the air, ground, surface and underground water, and transferring it to your home. The most common option is a ground source heat pump (GSHP) which absorbs energy from the ground to heat your home. 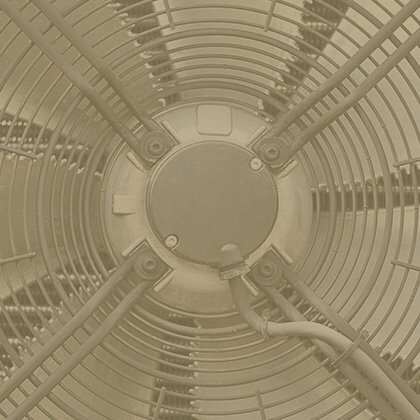 An air source heat pump (ASHP) uses atmospheric air as an energy source. This is quite a cost-effective solution, as air is easily accessible. A heat pump will provide 75% of heating from its ‘free-of-charge’ natural resource, with only 25% coming from your utilities provider. Solar Panels are usually installed on the southern-facing roof of a detached house, and convert the sun’s rays into energy. Solar collectors transfer this energy to liquid which circulates throughout the house in a pipe system. This is what provides useable heat for hot water and sometimes to support other heating systems. Solar Panels will provide 60% of the energy required to heat water all year round. The average price to install solar panels in a four-person house is between £4,000 and £6,000. However, this investment easily pays for itself in a few years. PV panels convert the sun’s rays into electricity which can be used to power household electricity and appliances. The panels don’t need direct sunlight to work – they will still generate electricity on cloudy days. A typical 3.5kWp system can generate around 3,000 kilowatt hours of electricity a year – this is equal to about 75% of a typical household’s electricity needs. It could save you around £645 a year* – plus it saves over a tonne of carbon dioxide. What are the benefits of installing Photovoltaic Panels? PV panels have no mechanically moving parts, so have far less breakages and require less maintenance than other renewable energy systems. If your system is using more than you need, you can send the surplus back to the grid and receive a refund from your supplier. Solar energy is completely green and renewable, and releases no harmful carbon dioxide or other pollutants. *based on a 3.5kWp solar PV system eligible for a generation tariff of 15.44p/kWh. Every time you open a window to ventilate a room, there’s a huge loss of heat, which counteracts any savings. At Dan-Wood, efficient mechanical ventilation units and heat recovery systems come as standard. This means that outside air is sucked into the house into a ventilation unit. It is then heated and flows to the inside of the house. Used air from rooms is collected and returned outside using the same system in reverse. It means no loss of energy – and rooms which are always 100% fresh!